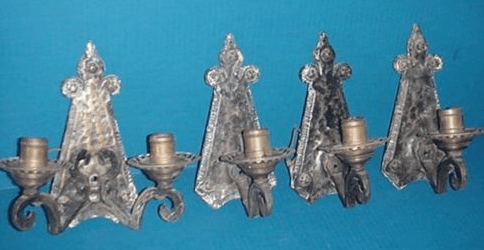 …and four sconces. 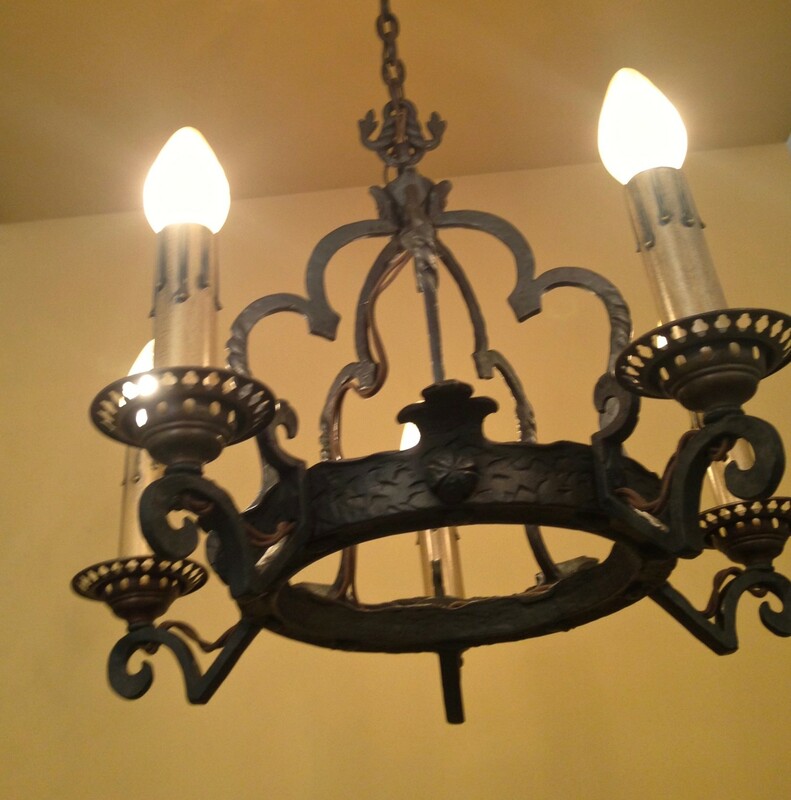 I learned long ago that an odd mix of sconces does not matter to most buyers. Once the set arrived, I knew I had to do something about the ugliness of the exposed sockets. This is what actually compelled me to buy the set. I felt a I had to do what I could to restore beauty to this forlorn set. And the results were worth it! Oh my! I replaced the exposed sockets with candle-style versions. This is something I hardly ever do. I love keeping things original, but without the possibility of finding ten original shades (ten! ), I knew I could not keep exposed sockets which were never meant to be exposed. 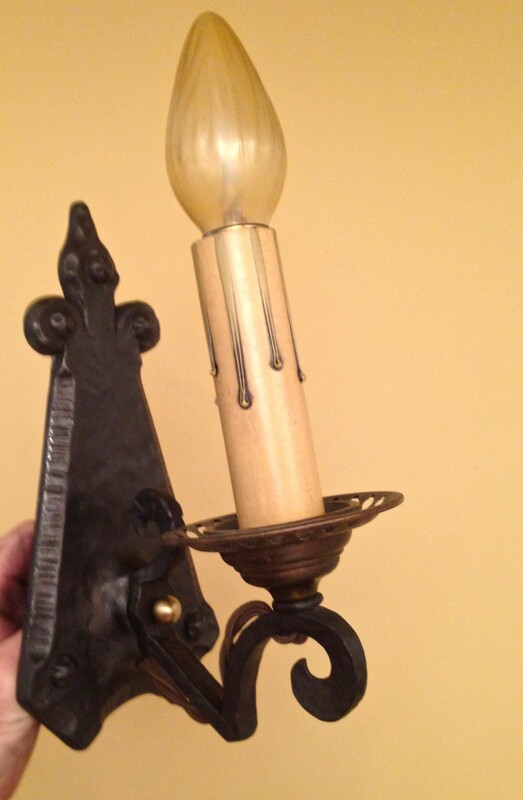 I also know that Lightolier did, in fact, offer candle versions of these fixtures, so, I had precedent! 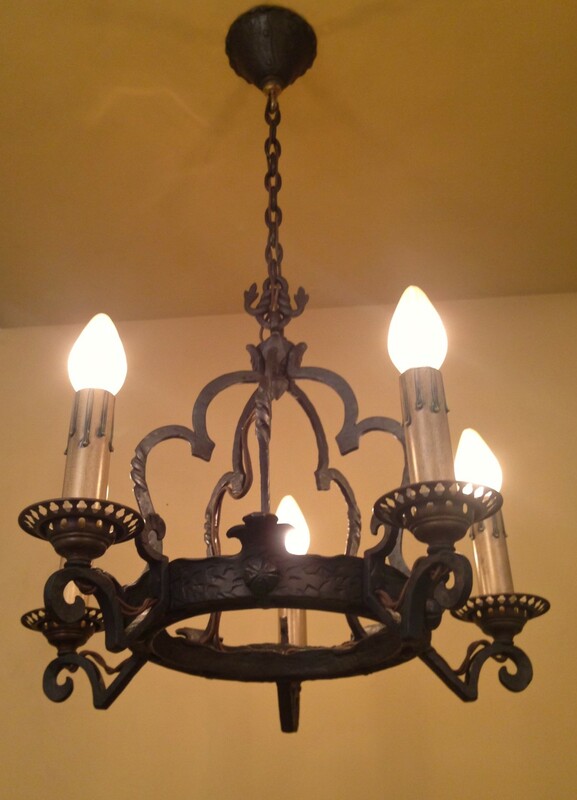 The fixtures are from Lightolier’s Valley Forge series, and abound with gorgeous, richly molded details. 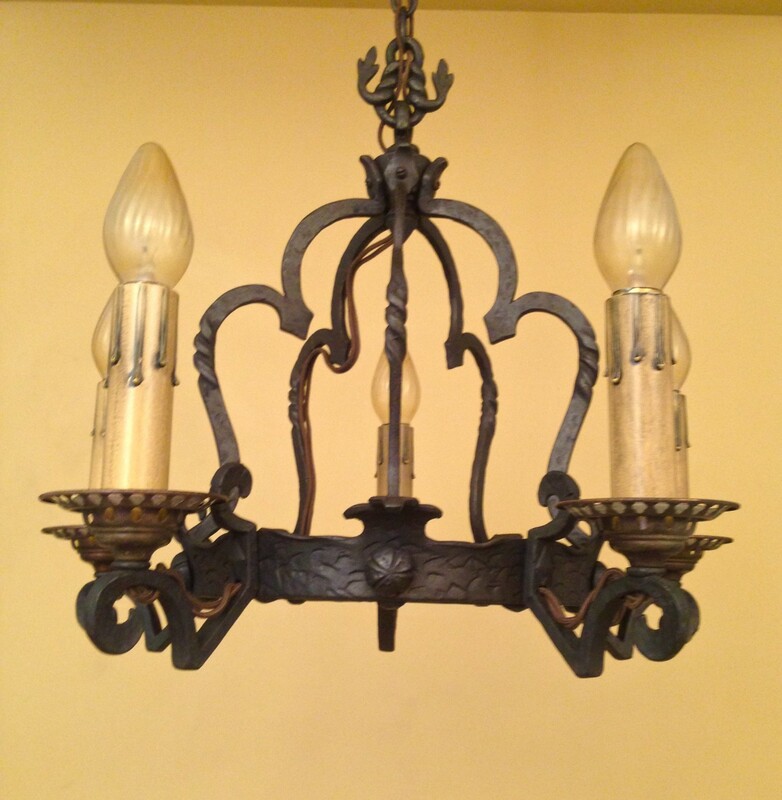 The fixtures are cast-iron, and impressibly made. All the new wiring is cloth-covered. Nice. When first offered, the fixtures were impressively expensive. 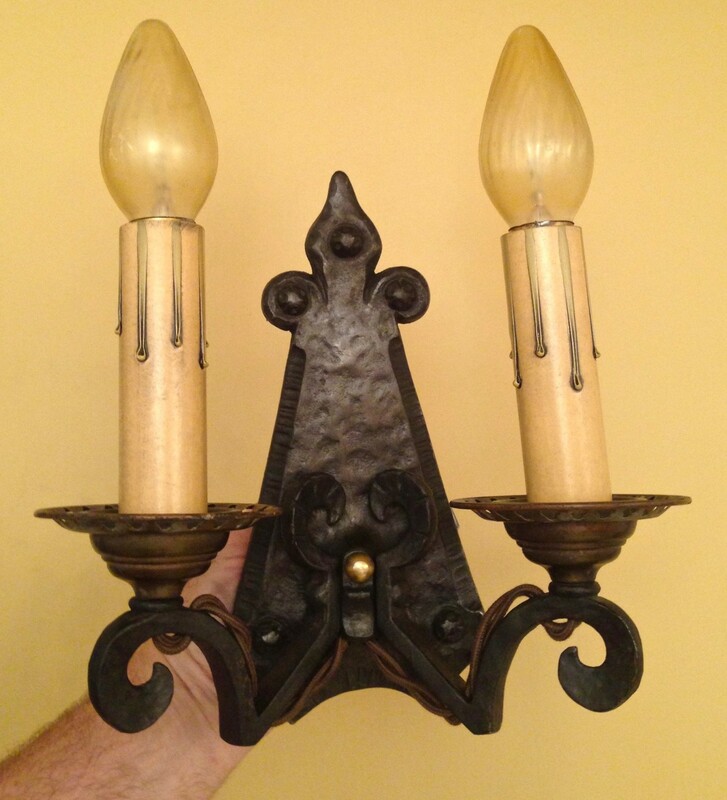 The chandelier was a whopping $70, and this 2-bulb sconce was $27. 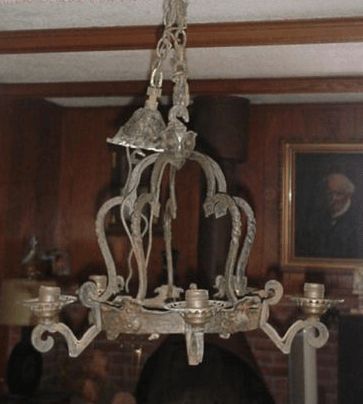 I know, you laugh, but you could buy a lovely 5-bulb ceiling fixture from the Virden Company, for example, for $20.